Did you know that 1,400,000 people speak French in Ontario ? Are you one of them? Then the Assemblée de la francophonie de l’Ontario and its partners encourage you to let others know and to be recognized by requesting that you be served in French when doing your groceries, eating out, shopping or dealing with other businesses. Do you run a business? Join the movement by offering bilingual services: there are plenty of benefits. You will attract and capture a new set of clients, increase your sales and get a chance at some free publicity. Companies interested in proudly displaying their bilingualism can get Bonjour Welcome promotional items from AFNOO and be added to the Northwestern Ontario French Language Services Virtual Directory to increase their visibility for free. "This is the first time in my life that I can work in French. French is my trademark, it represents my culture”. - Brigitte Tremblay, owner and manager of La Poutine restaurant. "French is not my first language, but some patients can’t communicate in English. So it's nice to be able to serve them in the language they want, it makes them feel more comfortable”. - Dan Gleeson, chiropractor. 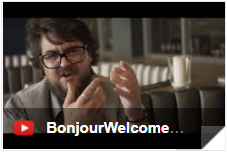 "People who come to us can be served in French. It's good to be able to express yourself in the language that is simpler when you have lost someone close to you”. - Anne-Marie Gélineault, Fawcett Funeral Home. AFNOO has developed a directory of French-language services to promote bilingualism and the French language as an asset in business. 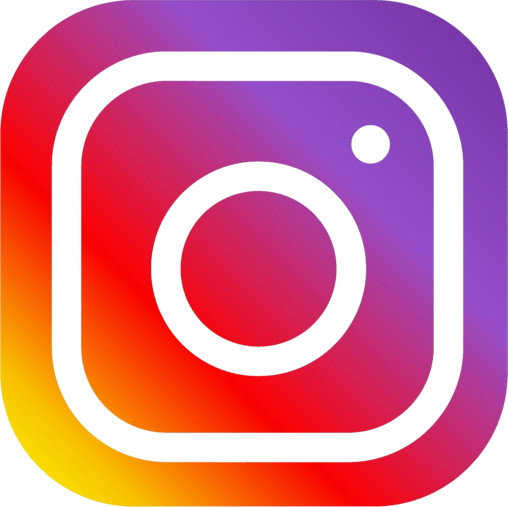 The directory is frequently consulted by French-speaking tourists and newcomers to Northwestern Ontario.If your business or organization offers some or all of its services in French, it can be listed in the directory for free. The listing gives you and your service visibility and access to a growing and dynamic francophone community, both in Northwestern Ontario and beyond.To learn more about the directory, you can read this article from FedNor. For more information, call AFNOO toll free at 1 888 248-1712 or you can register directly online. 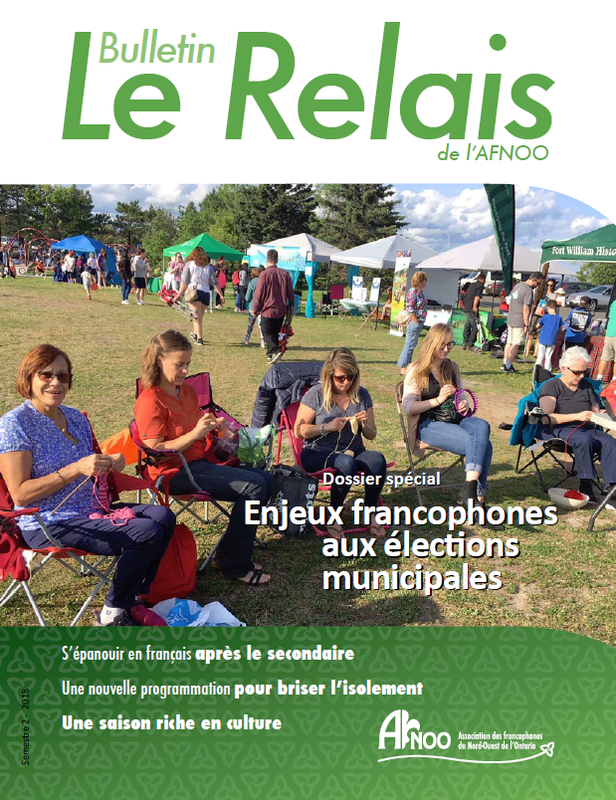 Founded in 1977, the Association des francophones du Nord-Ouest de l'Ontario (AFNOO) works to represent the Francophone community in Northwestern Ontario at political and community levels. AFNOO works to develop and to enhance the dynamism of the Francophone organizations and communities. AFNOO is a federation and accounts 28 member groups that work in different sectors including education, culture, early childhood, genealogy, women, health, entrepreneurship, seniors and youth. Our team works closely with our political institutions, our community partners and entrepreneurs in order to maintain or improve French services in our region. We welcome local businesses to send us bilingual job offers that require French as an asset, which we can publish free of charge on our website. We also invite you to promote your French language services and your business in our French regional magazine "Le Relais", which is published twice a year. In addition, businesses can expand their clientele by displaying their services offered in French in Northwestern Ontario on our online Directory. Let's work together to build a stronger community! Francophones in Northwestern Ontario: an economic lever for the entire region. 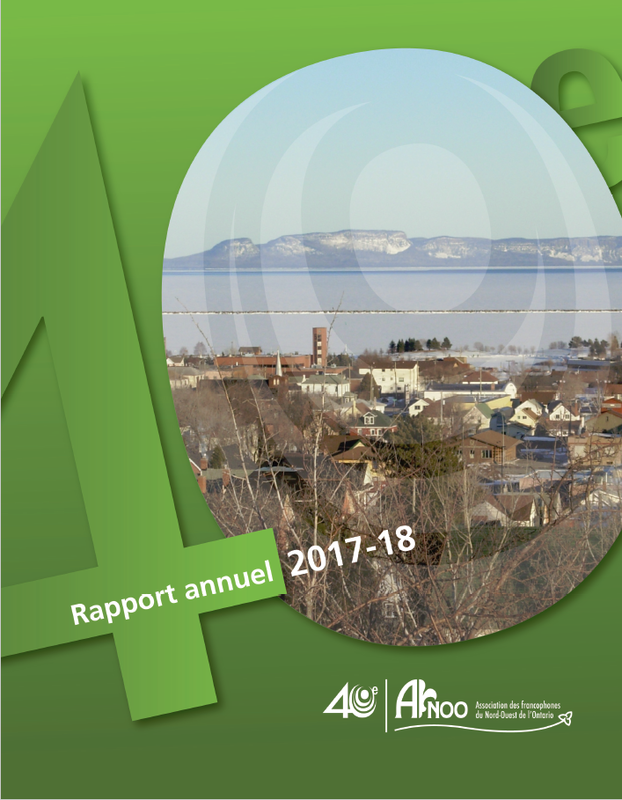 The entire community of Northwestern Ontario benefits from increased services in French and the collective capacity to promote the Francophonie throughout diverses sectors of its life. To ensure the development and the prosperity of the Francophone community in Northwestern Ontario at the political, educational, economic, linguistic, social and cultural levels. Since June 2015, AFNOO has engaged in a strategic planning process to ensure that its vision, mission, values, axes and strategic objectives meet the needs of its Northwestern community over the next five years (2016-2021). On September 25th, join us in your city of Northwestern region. Participate in a flag raising ceremony and other celebratory activities. 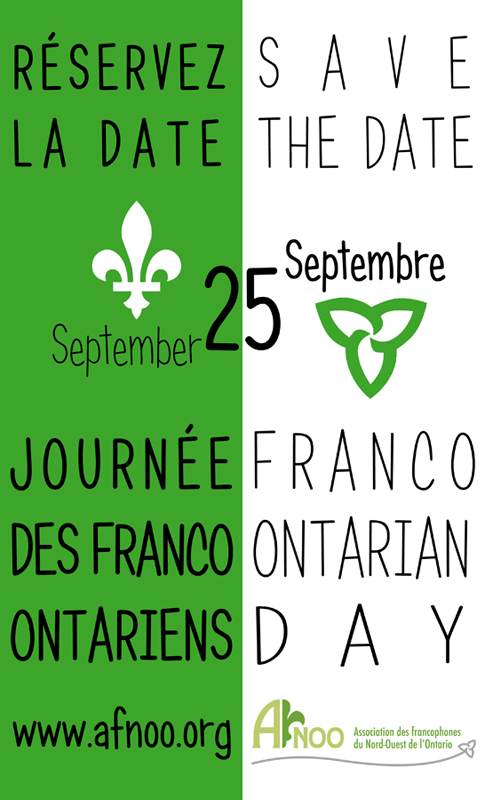 Join us for our Franco-Festival! Together, let's celebrate the largest francophone festival in Northwestern Ontario. Are you looking to enhance the Francophone heritage? AFNOO and Club canadien-français de Thunder Bay offer you the opportunity to host one or two bilingual exhibits in your organization, museum, school, city hall. It's free and each exhibit represents 10 vertical displayed (pop-up). Exhibit 1: Francophones of the Northwest: History and Heritage. Exhibit 2: Pride in the Northwest: 400 Years of French Presence in Ontario.